Ciso Morales of Danao City, Cebu, Philippines will comeback to face the Australian Prospect Nathaniel May on August 26, 2016 at WA Italian Club, Perth, Western Australia. Morales who has a record of 18W(11KO)-3L is a hard hitting boxer and a very tested boxer. 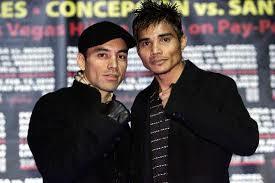 He fought for a world championship but loses to Fernando Montiel on 2010. Morales won his last two fights via KO against Jhofek CamoCamo and Elmar Francisco last year. Meanwhile, Nathaniel May is the current IBF Australasian featherweight champion won his last 10 fights and only lost to Waylon Law in 2014.